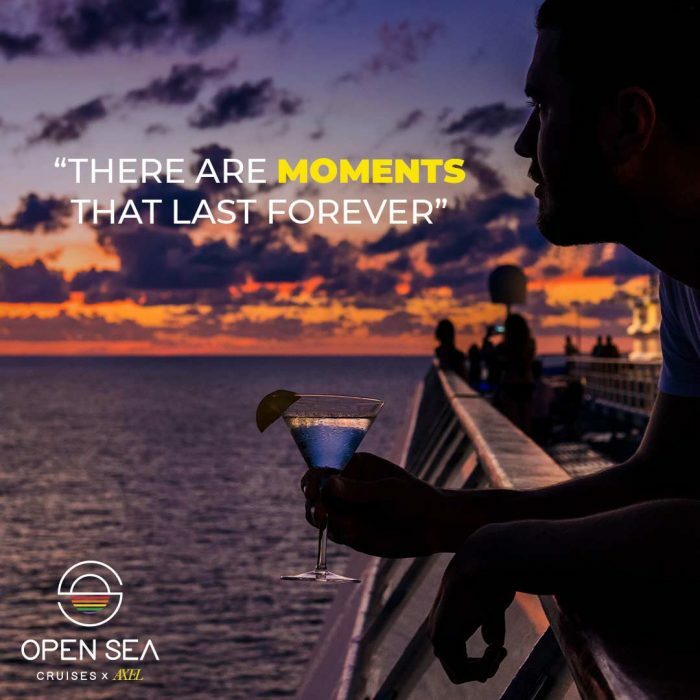 The newest and most exciting gay cruise is to set sail this September. 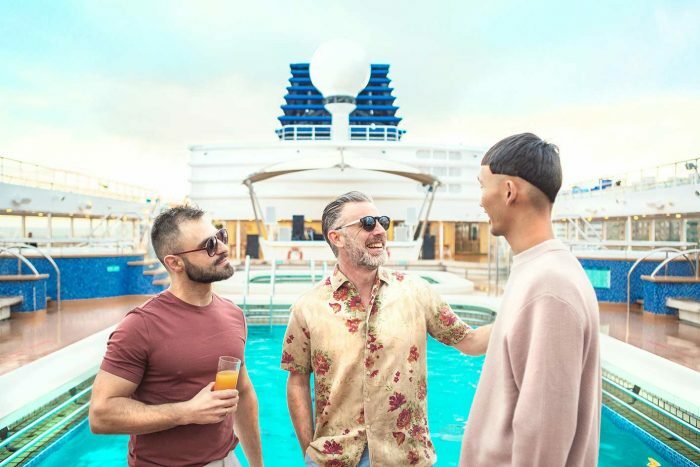 The experts in gay accommodation, Axel Hotels are joining forces with Dreamlines, the cruising specialists, to create the hottest gay cruise to hit the Mediterranean. Open Sea x Axel is scheduled to be the eight-day closing party of the summer season from September 29th to October 6th. The cruise ship is called Pullmantur Zenith and will set sail from Barcelona, for eight days of island hopping around the most beautiful of locations between France and Spain, with a two-day stop in Ibiza, the party capital of the Balearics.The boat has over 720 cabins, and a full ship can carry around 1,400 fabulous adventurers. Originating in Barcelona, the cruise plans to visit Ajaccio, Toulon, Palamós, and Ibiza. Onboard there’s so much for you to do you might find it hard to tear yourself away and visit all the Spanish and French cities, tough decisions will have to be made. You can keep tabs on your fitness regime with Zumba, yoga and cross fit, or brush up on cooking, and chill out with some Meditation. If you decide to disembark, and you really should, you’ll get to explore the various European cities dotted around the French and Spanish coastlines. In the evenings, you can return to the ship and party until the sun goes down. 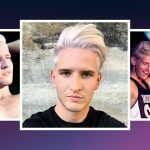 As mentioned, there’s an impressive selection of Eurovision royalty from Loreen to Conchita, but there’s one Eurovision starlet who already won the hearts of our Romeos. 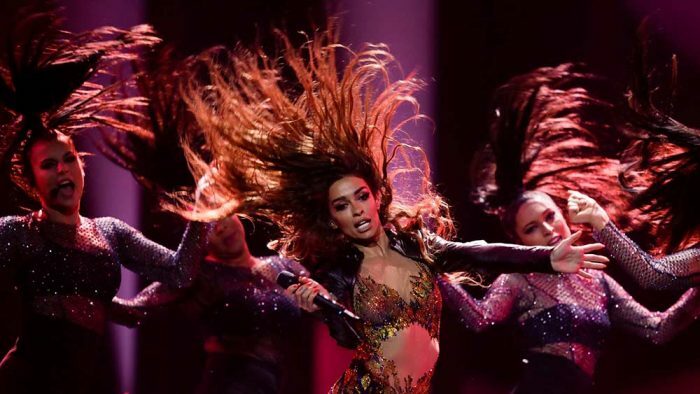 Eleni from Cyprus set Europe on fire with her Eurovision entry Fuego, it finished second in the live show but came first on the ROMEO internal poll. You now have a chance to see that amazing cat suit in person on the Open Sea x Axel cruise. 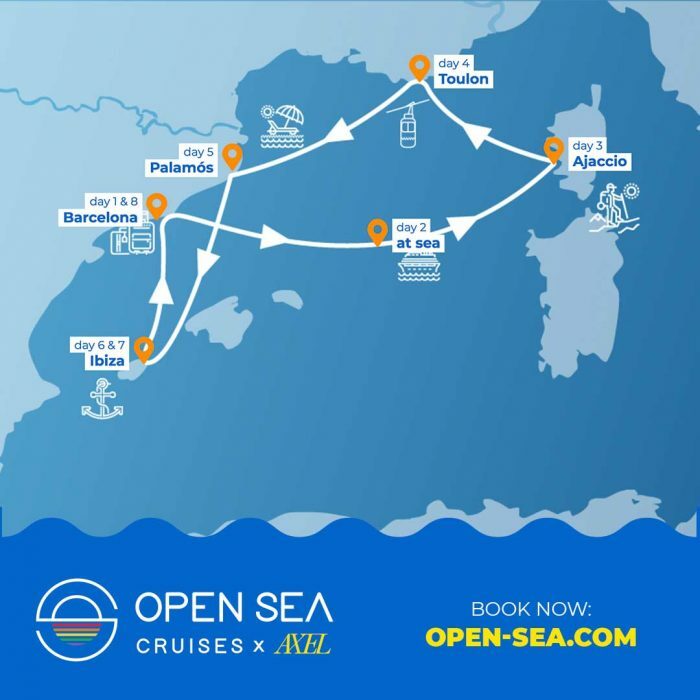 For more information about the cruise, visit Open Sea Cruises x Axel. We’re teaming up with Amsterdam’s Gay Water polo team – Waterproof.